May is the peak of songbird migration, and eastern Colorado is the place to see them. Explore Last Chance and Flagler Reservoir State Wildlife Area with expert bird guide Norm Lewis. Last Chance is a marshy woodland with many rarities, including northern waterthrush, Bell’s vireo, Tennessee and magnolia warblers, olive-sided flycatcher, and many more. Around Flagler, migrants abound in the woodlands and reservoir. 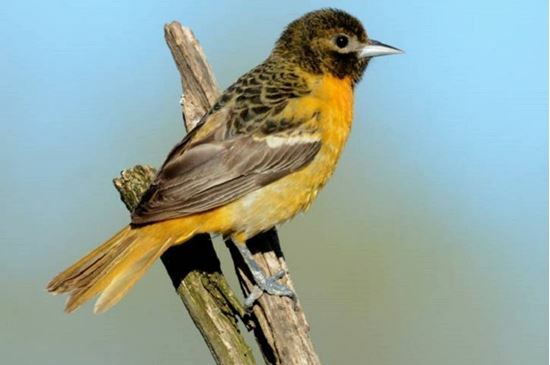 Sightings last year included white-rumped sandpiper, blue grosbeak, ovenbird, yellow-billed cuckoo, Baltimore oriole, and both green and blue black-throated warblers. Who knows what we might find! Note: This tour involves a very long drive and much walking over rough ground without trails. Transportation is not included. Participants caravan from a meeting location. The meeting locations for bird walks vary with each outing, so please consult your reminder email for final information.